White Shark Africa was founded in 1995 and has been running successfully ever since. The company has always had a great passion and love for the sharks and has often supported and assisted shark research in the area. White Shark Africa staff have a proud history in white shark research, conservation and education so you can be sure that we have a passion and love for these animals and their environment. Location We are located in Mossel Bay, South Africa. Mossel Bay is a very rich area with its abundant sea life of diverse fish, seals, whales, penguins, other sea birds, dolphins, the occasional orca and, of course, a plentiful supply of Great White Sharks. Mossel Bay is a well-established town with movie houses, pharmacies, chain stores, photo shops, hospitals. etc. It is a delightful place with beautiful north-facing beaches, good surfing, sailing, windsurfing, hiking trails, dive s...Continue readingpots, bungi jumping, three game parks, parachuting, quad bikes, nature reserves and is at the start of the world-famous Garden Route. It is well-serviced by the national road system. If you are into diving then Mossel Bay offers some excellent dives. There are easy dives along the harbour walls, deeper dives on the many reefs and shark feeding dives near the dock. 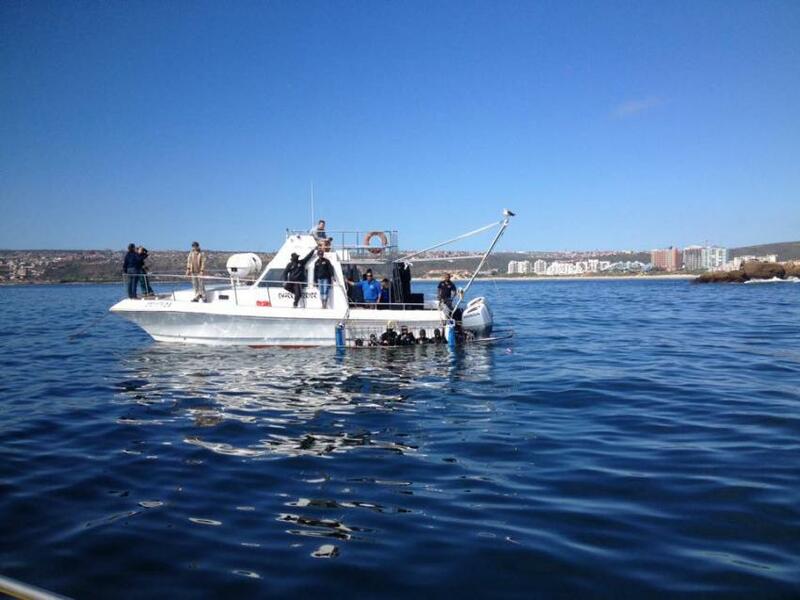 You can do a dive course right in Mossel Bay so please ask us about these activities. 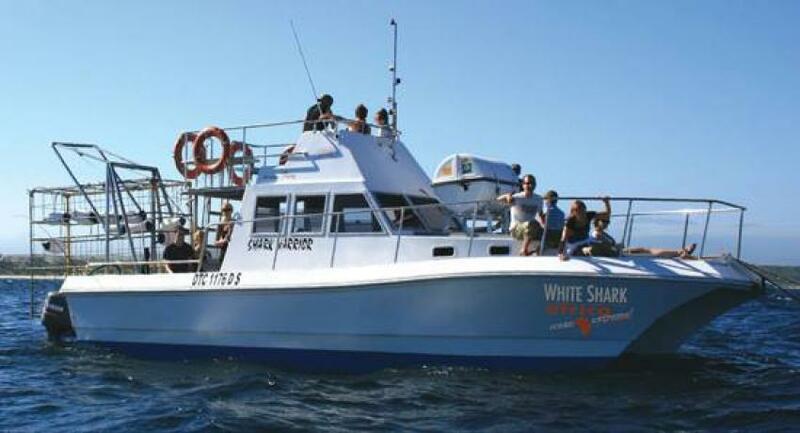 Our Boat, “Shark Warrior” is a modern 11.5m long and 4m wide motor cat custom built for shark cage diving. The boat has a large viewing platform on top, space on the main deck for seating and viewing and is equipped with toilet facilities in the main cabin. “Shark Warrior” is not exactly the QE II however, it was designed with your comfort in mind.